Despite significant technological feats in the entertainment industry, radio is here to stay. There are many music apps, podcasts and video channels on our smartphones today, but radio is the most personal and friendly of these all. You get free music and a variety of it for that matter. You don’t need storage space. And another thing, radio has many informative talk shows and news bulletins. If you love to listen to the radio on the go, there are many excellent radio headphones available in the market. They are standalone radio tuners, portable and battery powered. We have sampled some of the best so you can know features to look for when you go shopping for radio headphones. They are elegant and sleek, with excellent sound quality. This product supports both AM and FM radio. There is a digital LCD to help you quickly tune to the radio station you like. Excellent sound quality here means hi-fidelity digital stereo that’s uninterruptible whether you are outdoors or indoors. They are also personable, coming with ten pre-tuned stations to kick-start your experience. Do you want to control what your music? The Stanley Sync RST-63012 are versatile, thanks to the included AUX input jack. You can listen to your playlist on smartphones or MP3 players. How cool! Then again they are lightweight, and this sets them apart from, other cumbersome models. They feature a durable and sturdy build. The only thing that matches that good quality exterior is the excellent quality sound that this set delivers. Then again, if you want to look trendy and stand out from the crowd, their design won’t disappoint. With fully charged batteries you are guaranteed at lesat140 hours of play on the 3M WorkTunes. 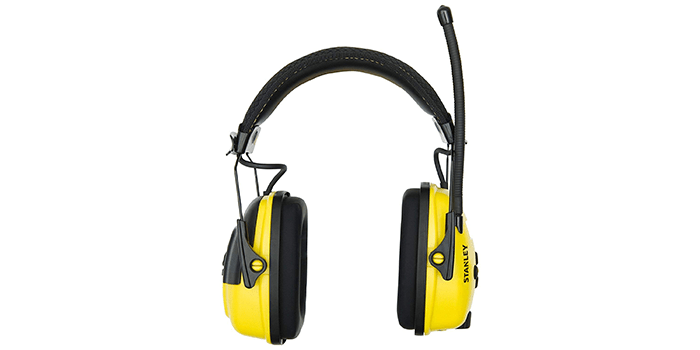 Just like the Stanley Sync, the 3M WorkTunes feature ear protection, and AM /FM radio playability. But then you get new features with these, including Voice Assist which will help you tune or adjust the headphones by voice command. Radio headphones don’t get better than the Howard Leight Sync. For starters, these headphones feature a neon green design for the ear cups casing and a reflexive headband. This increases your visibility and safety in an industrial environment. What’s more, they come with an LCD screen with ten preset radio stations for both AM and FM. In contrast to other models in this category, you can get a very high volume with the Howard Leight Sync. Even better this product comes with a 3.5 mm AUX jack so that apart from the radio you can listen to a variety of sounds. You can expect comfortability- the ear cups and headband fit well, and they are lined with pads for a cozy experience. Pyle 7, as you would expect comes with AM/FM tuning capabilities. However, unlike in other models where you might not get good reception, this product offers a solution with its built-in antenna. If you think you have seen the best with headphones, you are in for a surprise. These headphones stand out in the market for many reasons. First, there is blue tooth connectivity. If you get tired of listening to the radio, just pair the headphones with your blue tooth device for a superb music session. But if you are one of those people that think Bluetooth drains power then make use of Pyle Sound 7’s Aux jack to play various media. Still not convinced, then perhaps you will like the fact that you can make and receive phone calls with these headphones when you pair with your smartphone. With a press of a button on your headphones control panel, you can receive calls on the go. Versatile, comfortable and convenient, that is how we can describe these radio headphones. 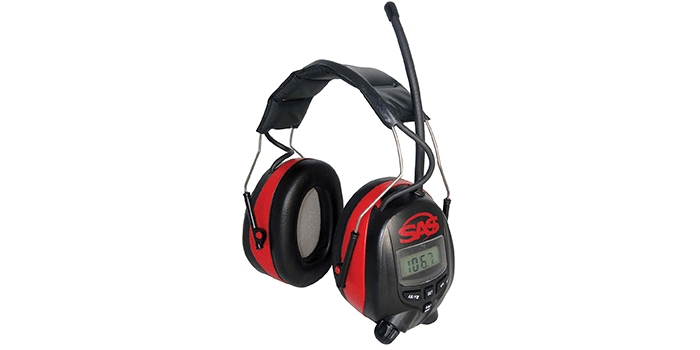 SAS Safety 6108 radio headphones have been favorited by workers in big industrial sites because they offer reliable noise protection. As you keep away loud noise, you get to listen to relaxing music on the radio during your shift, thanks to their AM /FM capability. As an icing on the cake, these headphones feature a line jack that makes them MP3 and iPod compatible. This opens up the world of entertainment enabling you to delve into a variety of playlists on the go. The ear cups and headband are soft and flexible. 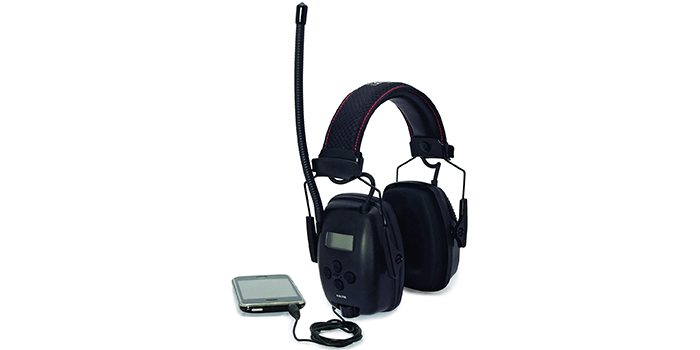 Once you select your loved radio channels, the headset retains that memory. They are cozy, lightweight and packable. These headphones prove that radio lives, it is not a dusty record on the shelves. RadioShack has been around for a long time, but can still surpass your expectations. First, you will quickly notice their comfortability due to the amply cushioned ear cups headband. Perhaps the most significant highlight of these headphones is their subtle design. This is good for anyone that just wants to enjoy music quietly without drawing attention. These radio headphones come with 20 preset radio channels. 10 are FM, and the other 10 are AM. You can switch to your mp3 playlist if you get tired of radio. The featured LCD screen makes tuning easy. The sound quality is one to live for, it is clear and crisp, and you won’t even need to turn up the volume. Some new exciting features are exclusive to these headphones. These include Micro SD card slots enables playing music straight from your flash memory on the headphones. These headphones feature a stylish design for the exterior. They are foldable for easy packing when you are not using them. 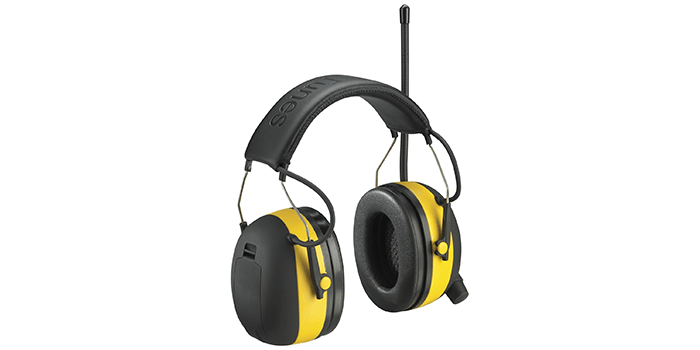 The earmuffs are lined with soft padding, and they can rotate up to 195°. 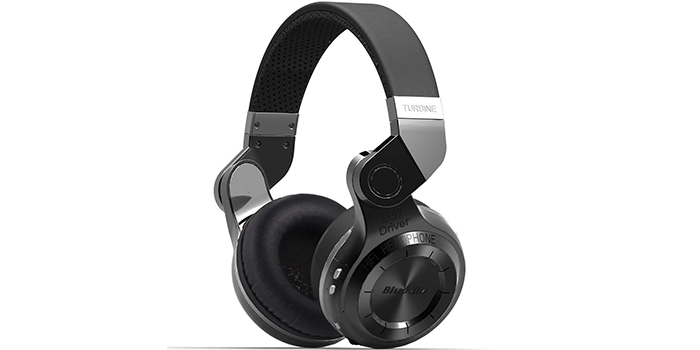 Expect superior quality sounds with the Bluedio Turbine T2s. The sound is Hi-Fi with no distortions at all even when on full blast. This product also features a superb Bluetooth transmitter with Enhanced Data Rate (EDR). Streaming of content through EDR Bluetooth is usually seamless and lossless. 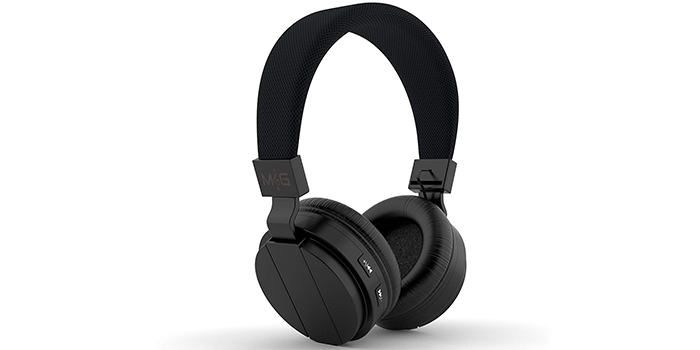 These headphones can play both AM and FM radio channels. The exterior design is beautiful and water resistant. 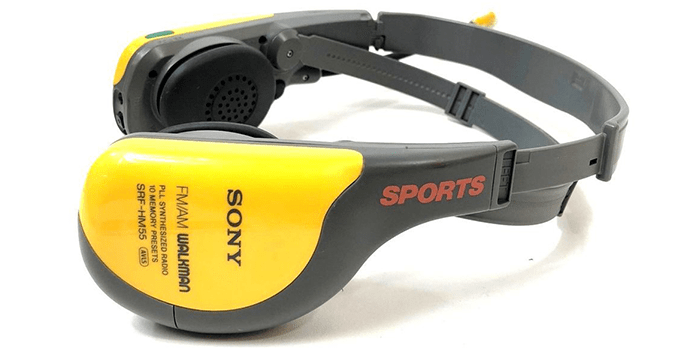 Sony has used the best materials for the design of these radio headphones so that you can expect a durable product.Tuning is precise and drift-free. You can expect an excellent sound quality, thanks to the headphones’ powerful speakers. To maintain the integrity of sound, there is an auto volume limiter which will help to minimize distortion. You can get 33 hours of play with fully charged tow AA batteries on these headphones. This product does more. 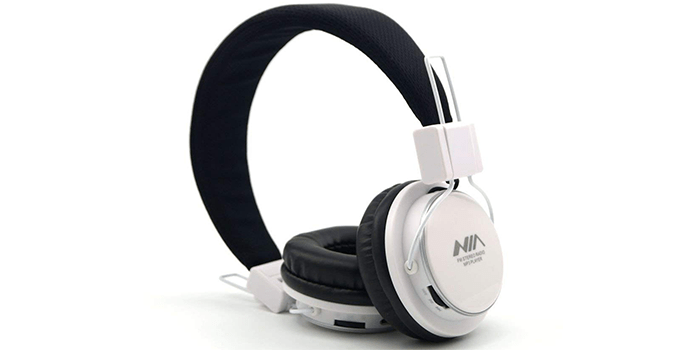 Apart from an inbuilt FM radio, you can use these headphones for gaming on computer and streaming content from TV, IPADs and other gadgets. These headphones are wireless to improve user convenience. The headphones feature built-in control buttons that will let you change volume, change modes and receive phone calls on your smartphone. 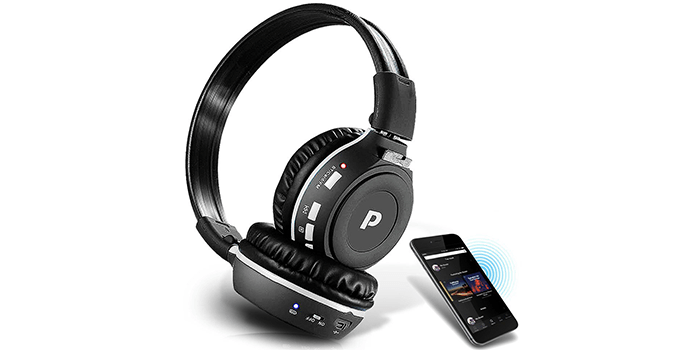 Bluetooth pairing is fast, and the headphones are compatible with nearly all Bluetooth devices. You can quickly charge the headphones via USB or adapter cord plugged into a socket. 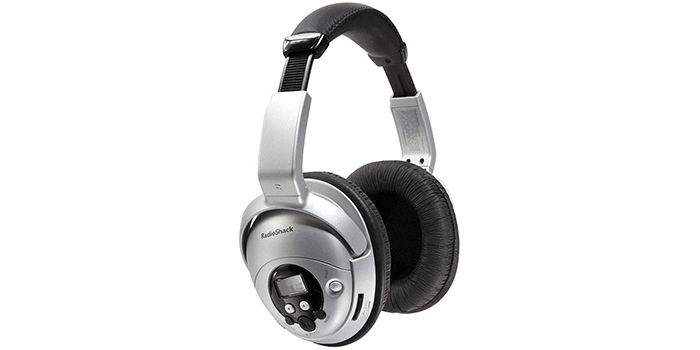 The headband and ear muffs are comfortably cushioned in these lightweight cordless headphones. You are assured of comfort even with long hours of wearing these lightweight headphones. They come with leatherette foam soft ear cup padding as well as a cushioned headband. Apart from FM radio, with these radio headphones, you also get a 3.55 mm Aux jack for listening content from iPhone, iPad, Android or PC. Fully charged batteries here will give you 18 hours of nonstop play. The sound quality is loud and clear, but you can choose different sound modes among them rock, pop, opera or pop. The design is compact and foldable for easy transportation.